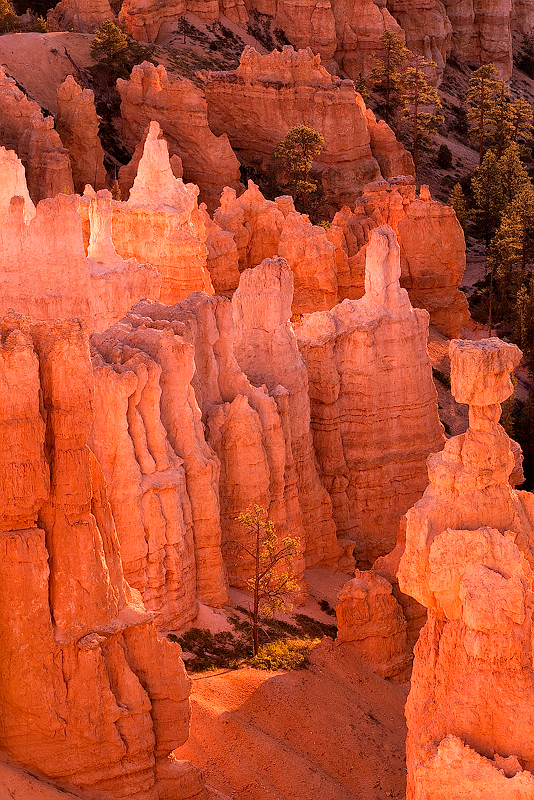 I watched this scene unfold as the sun came up over the horizon and the light began to work its way down the spires until it reached the canyon floor. This one particular pine in the lower portion of the image was finally bathed in the light of the sun and "illuminated" by its warm shafts of light. Photo © copyright by Kevin Reaves.